Berlin, 3.5 million inhabitants, 13 neighborhoods and more than 55 specialty coffee shops. What more do you need to continue reading? 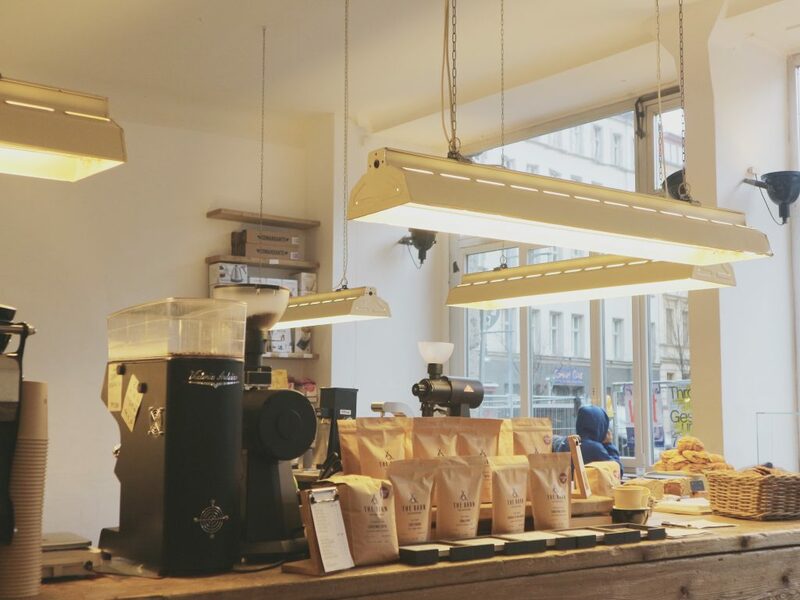 Berlin, where the movement of the Third Wave of coffee has been spread from neighbourhood to neighbourhood, spreading into a network with more than 55 specialty coffee shops throughout the city. Mariëlla Giljam’s publications about Berlin on her blog “The Exploring Barista”, meeting Andreas Piel, who worked at “Kaffeekirsche Roastery”, in Reykjavik and Nora Šmahelová, co-owner of “Chapter One Coffee Berlin”, aroused my curiosity to visit Berlin, where the movement of the Third wave of coffee has been spread from neighborhood to neighborhood, spreading into a network with more than 55 specialty coffee shops throughout the city. Where you can enjoy the best grains on the market, prepared by passionate baristas, who came to this wonderful city from all corners of the world, and serve in spaces designed to raise your experience to another level by having a cup of coffee in your hands. For those born after the cold war, Berlin is just a city in Germany. But for me and for many of my generation, Berlin is much more than a city. It is an Icon. We suffered with each Berliner, who jumped behind the wall, we dreamed of its demolition and we cried in hope, when finally Germany reunited and the “Iron Curtain” fell. 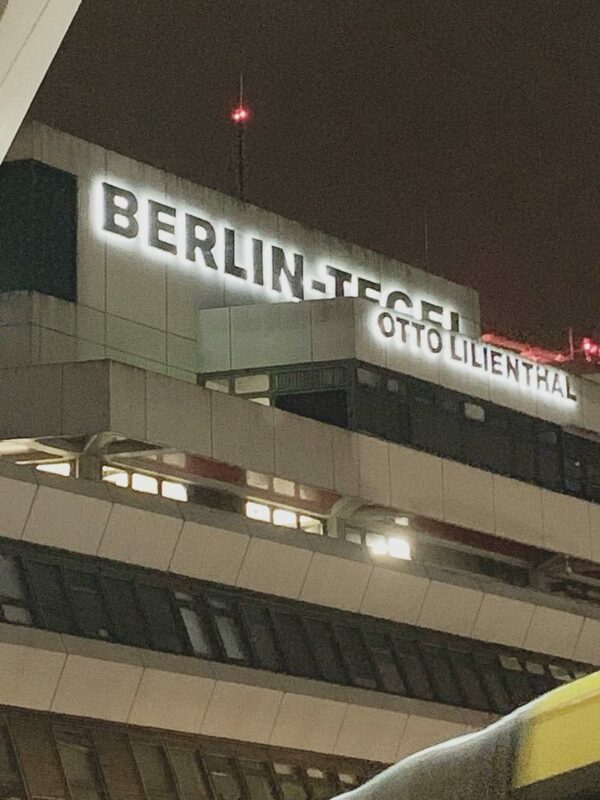 The plane landed at Tegel airport on December 6 at 10:30 PM. It was already night and therefore it was difficult for me to orientate myself. 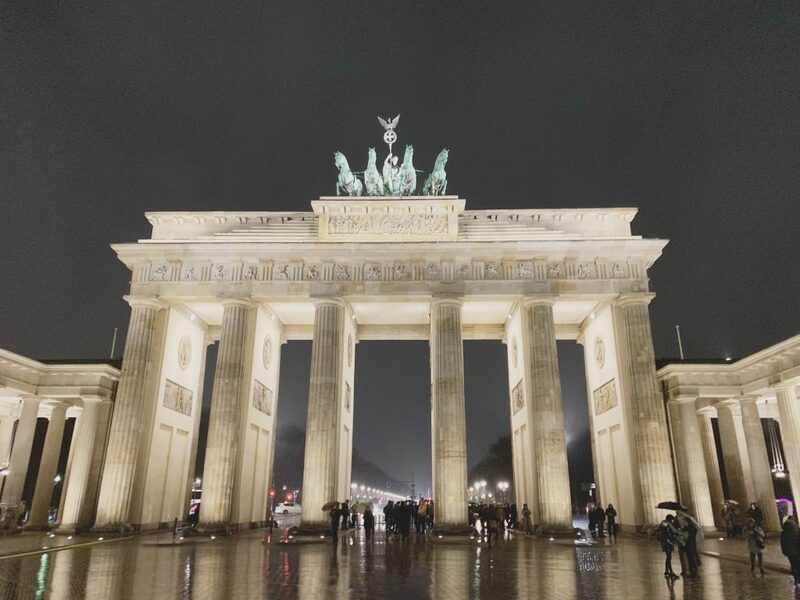 Since I only had one day in Berlin, the challenge was even greater, because in just a few hours, I had to learn to move around in a big and unknown city. 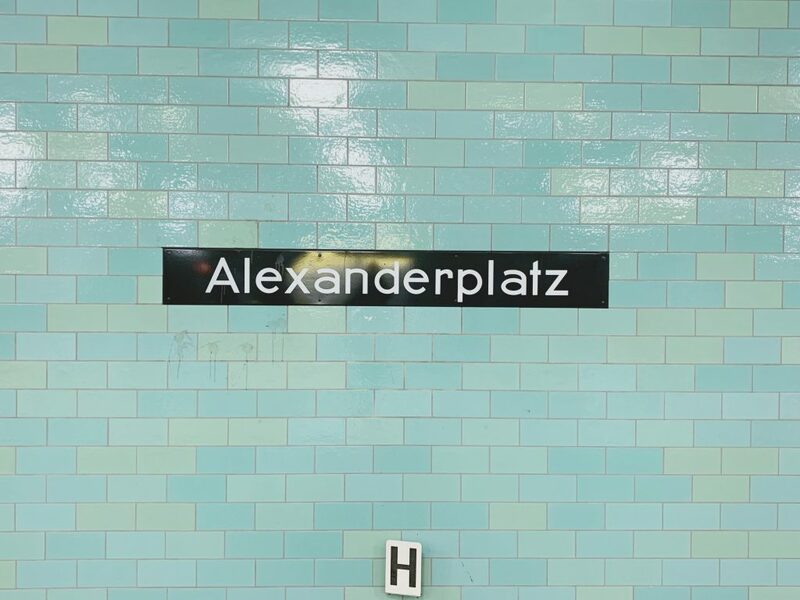 As the bus enters the city, I noticed that we passed through places that are very familiar to me: Tiergarten, the Brandenburg Gate, Friedrichstraße or Alexanderplatz and the feeling of being lost vanished. Fortunately for me, traveling in Berlin with public transport is very easy and cheap, thanks to the 24h Berlin Welcome Card, which cost only 19.90 euros. You can travel by bus and metro in the areas A and B. 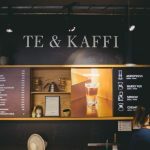 Their focus is directed to quality coffee, local and Nordic craft beers and a couple of Shuffleboard tracks, a game similar to petanque but with discs and on a wooden table. As I was on my way to “The Barn Roastery”, I spontaneously decided to get myself a cup of coffee at “KASCHK”. Something that striked me was the combination of coffee, beer and long tables, where everyone shared a table, which reminded me of the Oktoberfest. 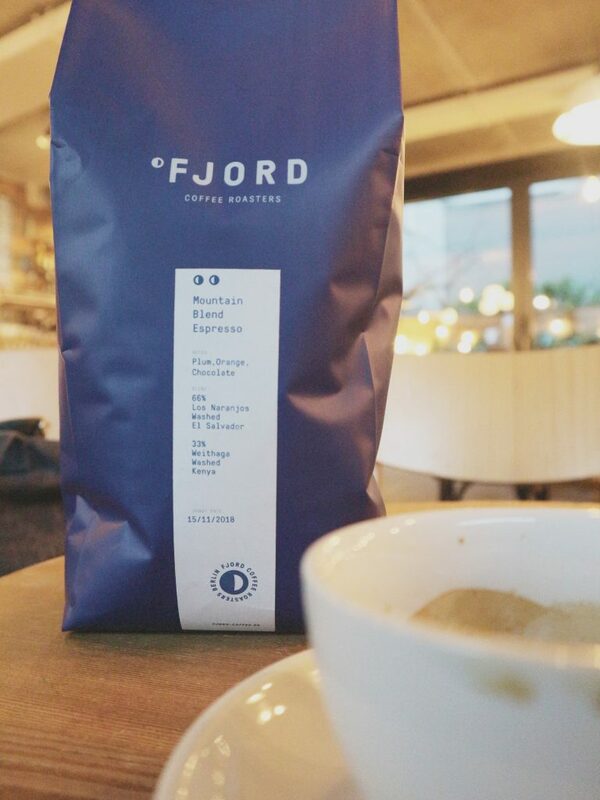 While I went, sip by sip, giving a good review of my double espresso (a blend 66% El Salvador and 33% Kenya, both washed and toasted by “Fjord Coffee Roasters”), the customers went looking for their dose of caffeine. All to take away, but nobody bought their own cup, which leads me to reflect on the amount of waste generated by it and ways to stay loyal to my manners and reduce as much disposable packaging as possible. Unfortunately it is something that is becoming more common and it is not surprising that the European Union contemplates in its plan to charge a tax for disposable packaging. of the gastronomic industry: barista school, natural wines and cocktails with coffee, cakes and seasonal menu, sandwiches and artisan cakes, coffee tasting menu or different preparation ways to filter coffee, to get their pure taste. 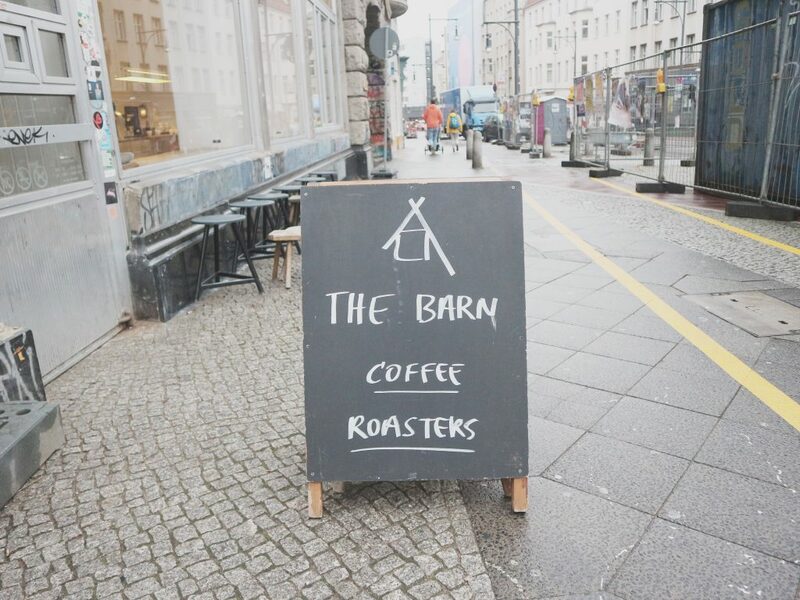 The Barn Roastery opened in 2012 and I think it is a must for every coffee lover. From here all the coffee they offer is sold and sent to the whole world. The space, carefully designed and with a marked industrial accent, is a bit noisy since there is no acoustic isolation between the design, roasting and packaging areas of the cafeteria. But it was music for my ears! I enjoyed it while drinking their delicious “signature drink”, the Flat White Christmas, which has subtle aromas of cinnamon, apple and clove. 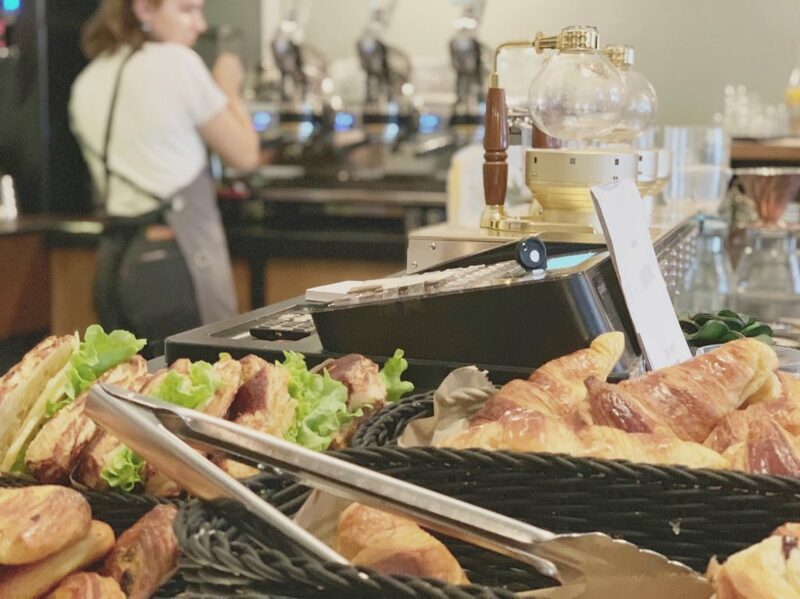 Out of all its establishments, “The Barn Roastery” has the most pure coffee taste, with a wide range of specialty coffees to enjoy in different filter formats and a menu of drinks based on espresso, which are well known throughout the world, including us. Highlighting the baristas for their professionalism, kindness and good treatment to the client. 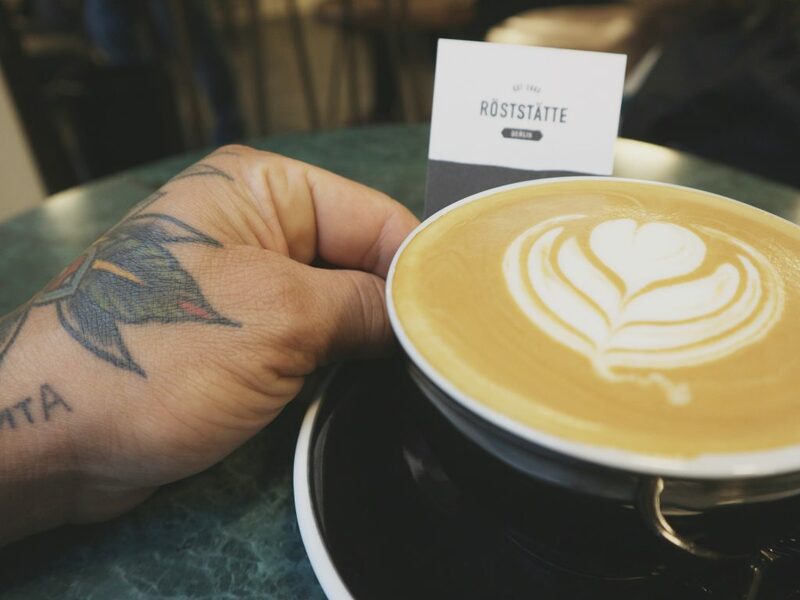 “Röststätte” began its journey in 2003 as distributors of espresso machines and mills. 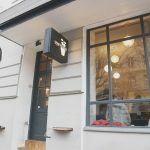 Today, they have two coffee shops: “Röststätte” at Ackerstraße 173 and “Röststätte Berlin”, which is located inside an inner courtyard between buildings in the direction of the Rosenthaler Straße 40 and 41, in addition to the coffee roaster. Although my intention was to visit the establishment in Ackerstraße 173, but the gps and the torrential rain that fell on Berlin at that time, guided my steps towards the new establishment in Rosenthaler Straße 40-41. The cafeteria is elegant, cozy and with a table service. The coffee that I drank was a double latte perfectly executed. I did not entertain myself there as it was not the establishment I wanted to visit and I still had to go to the more important places on my trip, for which I had to move to the opposite side of the city. 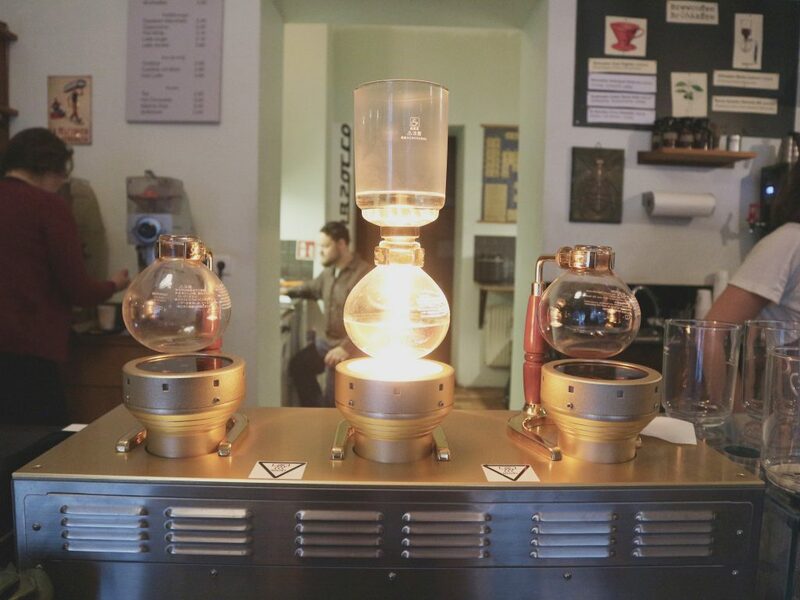 The Kreuzberg a neighborhood with little gem with a coffee aroma, Chapter One Coffee Berlin. The Kreuzberg is famous for being the neighborhood for students, artists and the great Turkish community, where are multiple restaurants, second-hand shops, street art, the famous Marheinekehalle (a market of the 19th century and one of the last markets in Berlin) and a little gem with a coffee aroma, Chapter One Coffee Berlin. Björn Koepke and Nora Šmahelová are the owners of Chapter One Coffee Berlin, a Third Wave café, where, just a few steps away from the door, we enter a space with minimalistic but very cozy design and presided over by three vacuum coffee makers, a detail that guarantees a very good experience with coffee. Nora is the German Barista Champion of 2002, judge of the World Coffee Events, trainer authorized by the SCA and the green coffee sales representative of Ally Coffee, among other things. 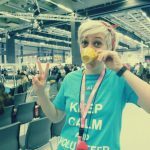 She was a judge at the Icelandic Barista Championship in early 2018, where I met her for the first time. 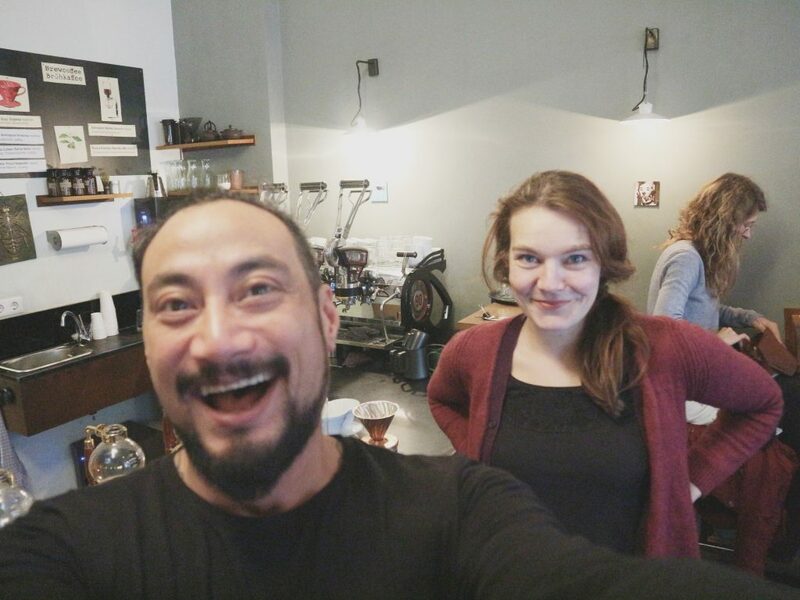 When I chatted with her, she encouraged me to get to know the Berlin coffee scene. Chapter One Coffee Berlin works with coffees with a light medium roast for both espresso and for filter, which is toasted by others. The subject of the roasting point surprised me pleasantly, because in my opinion, the roasting point is more related to the grain than to the infusion method. Each coffee bean has its correct roasting point to get the best out of it, so that it can be used both in filter and in espresso, instead of toasting it differently for filter and for espresso. But … this is just my opinion and, as we know, depends on taste colors. Nora prepared me an Ethiopian Guji in the vacuum coffee maker and I have to admit that it is one of the best filtered coffees I have ever had; The vacuum coffee maker always pleasantly surprises me and I always like coffees prepared with this method. Almost two hours later, it was time to say goodbye to Nora and Björn, but not before promising an upcoming visit before summer. Amilka Lee, The Travelling Barista.